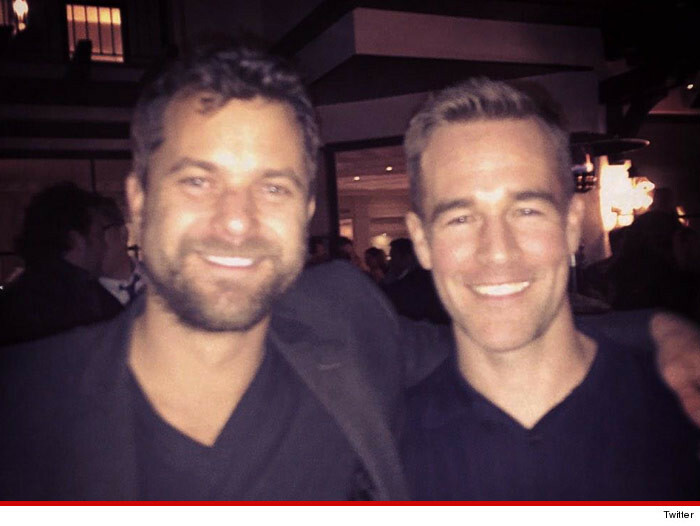 'Dawson's Creek' Hunks Reunite … We've Still Got It! “Dawson's Creek” stars James Van Der Beek and Joshua Jackson reunited in L.A. … and we're pretty sure they're both vampires — 'cause neither looks like they've aged a day. The 37-year-old Beek snapped a pic Saturday night with his 36-year-old former co-star … reminding people why they were once teen heart-throbs. No sign of Katie Holmes or Michelle Williams — but we're guessing Dawson complained about both of them to Pacey … while comparing his life to some classic movie. We miss that show. Sue us.